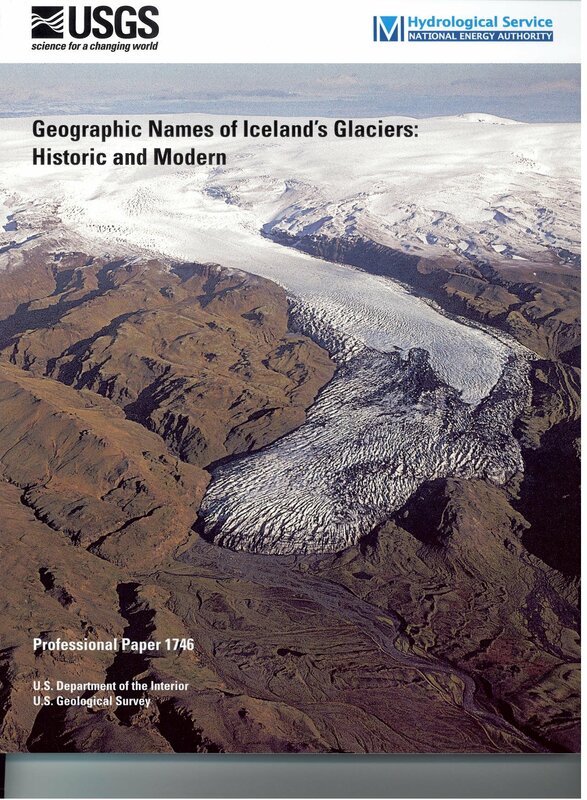 Út er komin bókin Geographic Names of Iceland´s Glaciers: Historic and modern. Höfundar verksins eru Oddur Sigurðsson og Richard S. Williams, Jr. og er það gefið út af bandarísku jarðfræðistofnuninni (U.S. Geological Survey). Á aðalfundi félagsins í febrúar sl. var félögum fært eintak af bókinni. Þá sýndi Oddur Sigurðsson flugmyndir af jöklum og fjallaði um nöfn þeirra. Vert er að færa sérstakar þakkir til höfunda bókarinnar og útgefanda, enda um tímamótaverk að ræða, sem félagar fá nú notið beint í æð. The Icelandic Glaciological Society and its members are very grateful to Oddur Sigurðsson, Richard S. Williams, Jr. and the USGS for their generous gift of this impressive book describing the history of the names of our Icelandic glaciers.